Home / #Chronicles / #HumanRights / #SocialMedia / #TrueNews / Social Media / Social Network / Sweden / #HumanRights : @Sweden Twitter,country official account,have already blocked 14k users .Is it a threat to free speech ? #HumanRights : @Sweden Twitter,country official account,have already blocked 14k users .Is it a threat to free speech ? The Swedish public and activists are outraged over the blocking of some 14,000 Twitter users by the country's official account over alleged hate speech. Those blacklisted included top Israeli politicians and Noam Chomsky. 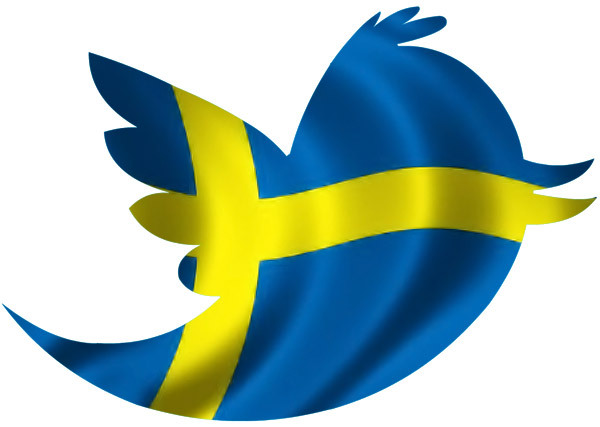 An initiative of the Swedish Institute, the @Sweden Twitter account is run by a different person each week - either someone located in Sweden (who may or may not be a Swedish national) or a Swedish citizen abroad. It is used to promote the country around the world. Its official rules and guidelines say the account is a "platform that supports the idea of free speech and democracy" and "invites opinions and debates." However, some 14,000 users were shocked to find they were on the account's block list, entirely unable to participate in the very benefits its boasts. The blocking happened between May 8 and May 14, when the account was curated by Vian Tahir, an online security expert who helps protect people against online bullying and trolls. She claims those she blocked were either involved in "threats against migrants, women, and LGBTQ people," or were suspected of right-wing extremism or neo-Nazi links, The Local reported. “At first I thought that this was Sweden being a typical politically correct [self], but then I started to see my very liberal friends like Tim Pool [award-winning journalist and VR filmmaker] on the watchlist...You see weird names popping up, like, Noam Chomsky, why is he on this list?...It makes no sense, and I think the list is ridiculous to have in the first place," Lauren Southern, a political author, commentator, and Twitter user with 272,000 followers - who was among those blocked - told RT. While fury raged among those who realized they were on the blacklist, the Swedish Institute stood by Tahir, saying it was going to keep the list of blocked users, in order to tackle a recent surge in racist and sexist abuse. Many took offense, as many hadn't taken part in any such abuse. In fact, the list included members of the Swedish parliament, the Israeli ambassador to Sweden and even Bill Gates. But the names on the list aren't the only surprise revelation, according to Southern. The very fact that the list even exists is "absolutely shocking," she said. “I’ve been put on the government watchlist by the Swedish government, for allegedly inciting hate against migrants, women, and the LGBT community, and I have a few questions for the Sweden government: why does the government need to be making this list in the first place? What is its purpose? How do they determine whose opinions are (and are not) objectionable?” Southern said. Southern, who admitted she is right-wing and protests mass immigration, stressed that while she doesn't believe in the idea of "hate speech," she doesn't fit into the government's definition of it, either.